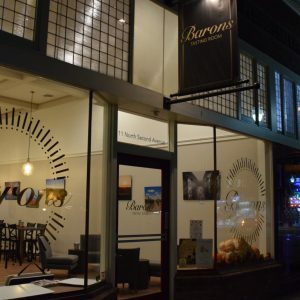 Today, Barons’ state of the art winery and barrel aging facility is located in the heart of Walla Walla, Washington. The vineyards are located in the dry, desert lands of the great Columbia Valley. Barons’ longtime relationships with storied vineyards affords us the finest grapes Washington has to offer and we take great pride in the wines we produce from them. Delicious upon release, each wine is crafted with balance and ample acidity to age gracefully with a fine polish.